Once Upon a Time…”On a Silent Night”, Cinderella and her best friends, the mice, “believe” the spirit of giving is the most rewarding of all…. Fairy Godmother and Santa Claus help Cinderella prove that dreams come true when one follows their heart….and so, with Christmas cheer and Christmas songs, the Holiday Spirit brings on surprises to everyone…. Cinderella’s dreams come true, she marries Prince Charming and offers the Gift of Love to her step family…. In the end, the Evergreen Christmas Tree shines brighter and Happiness is Everlasting….and Everybody lived happily ever after…. 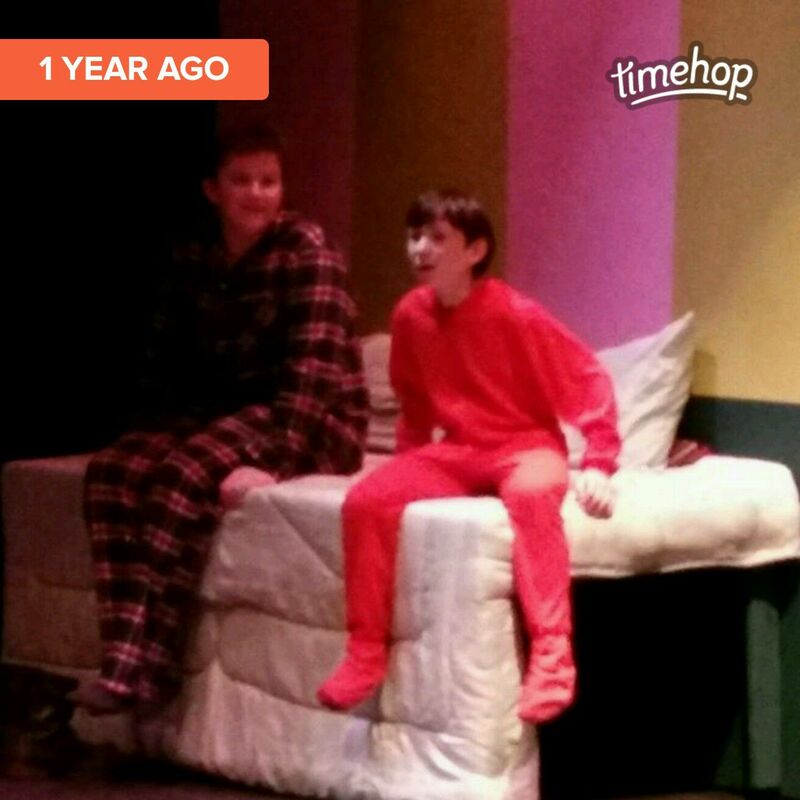 This is Andrew, performing in “A Christmas Peter Pan” at Villager’s Theater last Christmas. As a part of its Kidsvill program, Villager’s has a special event called The Matthew Program, developed by Tina Lee, where developmentally disabled youth are invited to a performance that’s just for them. It’s an amazing day. I had been aware of the Matthew Program for some time, but as Dari and Andrew were both in the show last year this was my first time observing a Matthew performance firsthand. Watching the cast interact with the audience was an incredibly moving experience for all, and it made a huge impression on Andrew, who was 12 at the time. I was surprised at the level of impact this had on him, and it was after this show that I thought to myself that maybe teaching or working with special needs kids was a possible career path of interest for him. Heartbreakingly, we will never know. The impression that this made was such that when Villager’s Theatre approached our family and said they wanted to do something special for Andrew, I felt immediately that it should be something that involved the Matthew Program. So, this Thursday evening, December 15, Villagers Theatre and the cast and crew of “A Christmas Cinderella” are adding a special performance in the Black Box theatre at 7:30pm, and I invite you to please join our family. There are no advance ticket sales, admission is a free will donation at the door, and all proceeds will be donated to the Hudson Milestones program, in loving memory of our beloved son Andrew Clark Russoniello. All are welcome, and please feel free to share this post with anyone that you know of that may be interested. Again, it’s this Thursday, December 15 at 7:30pm at Villagers Theatre. Please come.